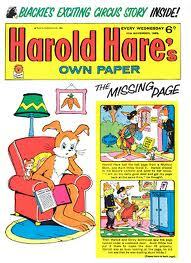 I still remember the excitement when my Harold Hare comic dropped through the letterbox on a Wednesday evening - just before choir practice. I still have a copy of the annual. 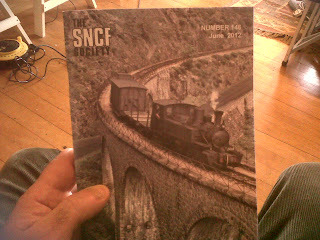 Felt the same excitement today when I discovered on the doormat the latest issue of the SNCF magazine. Full of things French. 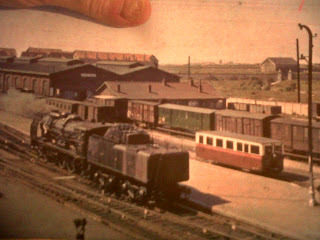 The back cover is a photo of Calais in 1938 where the locomotive is making its way, backwards, from the shed to the maritime station. Latest listening figures from RAJAR. "Radio 3 has a weekly audience of 2.10 million listeners – compared to 2.05m last quarter and 2.22m last year. The network’s share is 1.3%, up from 1.1% last quarter and 1.2% last year. ..... while Radio 1Xtra attracts 1.02 million listeners – up 25% on last year and the first time the station has tipped one million. Including all listeners aged 10+, 1Xtra’s audience rises to 1.10 million." Unbelievably, that load of old rubbish, Classic FM, reports these stats. This radio station broadcast to a total survey area of 51,951,000 adults (aged 15+). It was listened to by 5,444,000 people (10.%) each week. Each listener tuned in for 6.9 hours per week - a total of 37,457,000. 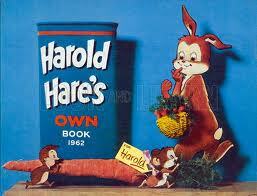 In its area, it had a 3.5% market share." Anyway, spent the morning listening to Radio 3. 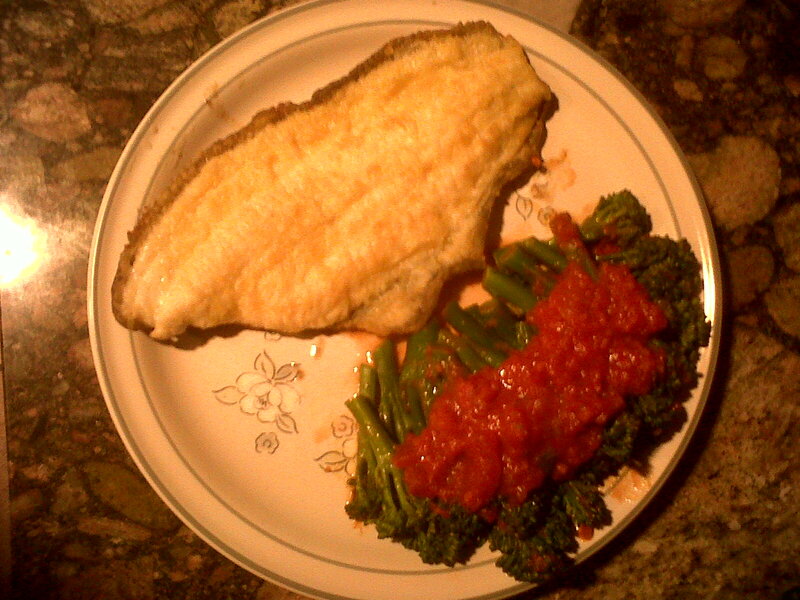 Lemon sole, and broccoli in tomato/basil sauce.